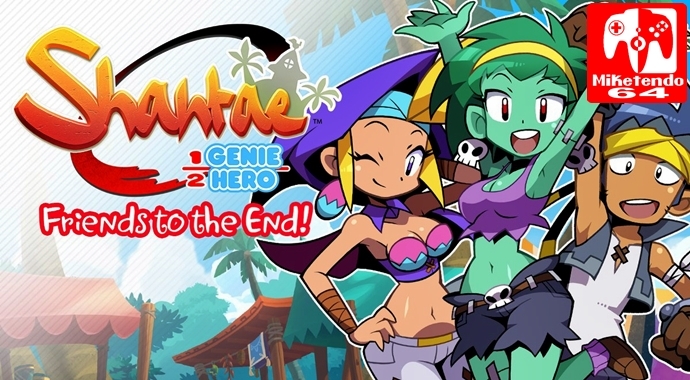 Experience the final piece of the Shantae: Half-Genie Hero storyline as Sky, Bolo, and Rottytops! When Shantae falls prey to dark magic, it’s up to Shantae’s BFFs Sky, Bolo, and Rottytops to save her from a Nightmare Realm of her own imagining! Conquer remixed locales (and new challenge levels) using Bolo’s grapple claw, Sky’s egg-toss, and Rottytops’ brain-munching to beat bad guys, solve all-new puzzles, and rescue the half-genie hero. It’s all possible with the power of friendship! Enter the Nightmare Realm and experience the final piece of the Shantae story! Solve puzzles and battle enemies by swapping freely between Sky, Bolo, or Rottytops! Glide, toss eggs, and hatch helpful bird buddies as Sky! Grapple and swing through the air as Bolo! Fling your head and eat brains to regenerate health as Rottytops! Level up! Collect Gems to increase each heroes’ potential! Unlock different endings by recovering lost Dream Squids. Enjoy fan-favorite musical selections from Shantae’s past, included with this mode! Future DLC “Ninja, Beach and Officer will arrive in early 2018, and do not continue the current storyline. Paid DLC content will be included in 2018’s Ultimate Edition This product was crowd-funded by fans that generously backed multiple tiers of bonus content, including this expanded content!